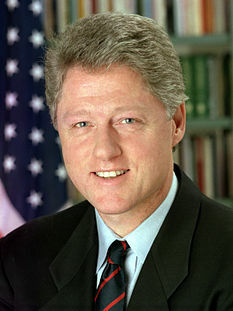 The following is a personality profile of Bill Clinton based on his work. Bill Clinton is unpretentious and boisterous. He is empathetic, he feels what others feel and is compassionate towards them. He is intermittent as well: he has a hard time sticking with difficult tasks for a long period of time. But, Bill Clinton is also unconcerned with art: he is less concerned with artistic or creative activities than most people who participated in our surveys.